Glaucoma is the second most common cause of irreversible blindness in North America. 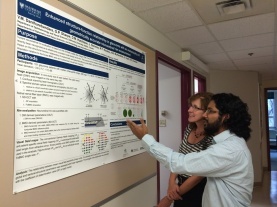 The focus of the Dalhousie Glaucoma Research Group is to develop a better understanding of this complex disease, leading to enhanced diagnosis and treatment. 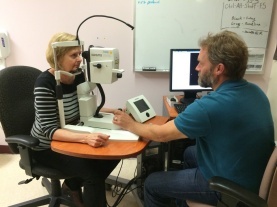 We now can also detect glaucoma damage in the macula, with loss of retinal ganglion cells. This examination can help clinicians minimize further glaucoma damage to the most important region of sight. Combining conventional ophthalmic photography (panel A) with advanced imaging techniques, we are now able to identify and measure previously undistinguishable structures in the optic nerve (panels B and C), to enhance diagnostic performance.